After losing her husband John M. Cavalieri to cancer in 1994, Susan G. Weidener wrote as a way to deal with her grief. After publishing two memoirs, Again in a Heartbeat: A Memoir of Love, Loss and Dating Again and Morning at Wellington Square, she pored over the pages of John's own memoirs, trying to find a way to bring the joy and pain of his experiences at the United States Military Academy at West Point to life. The result was A Portrait of Love and Honor: A Novel Based on a True Story. A Portrait of Love and Honor: A Novel Based on a True Story is available as a print and e-book at Amazon and Barnes & Noble. To win a copy of A Portrait of Love and Honor, please enter using the Rafflecopter form at the bottom of this post. The giveaway contest closes this Friday, July 24 at 12:00 AM EST. We will announce the winner the same day in the Rafflecopter widget. Good luck! Susan G. Weidener is a former journalist with The Philadelphia Inquirer. She has interviewed a host of interesting people from all walks of life, including Guy Lombardo, Bob Hope, Leonard Nimoy, Rubin “Hurricane” Carter and Mary Pipher. She left journalism in 2007 and after attending a women’s writing retreat, wrote and published her memoir, Again in a Heartbeat, a memoir of love, loss and dating again, about being widowed at a young age. Two years later, she wrote and published its sequel, Morning at Wellington Square, a woman’s search for passion and renewal in middle age. Her novel, A Portrait of Love and Honor, completes the trilogy, inspired by and dedicated to her late husband, John M. Cavalieri, on whose memoir the novel is based. Susan earned a BA in Literature from American University and a master’s in education from the University of Pennsylvania. An editor, writing coach and teacher of writing workshops, she founded the Women’s Writing Circle, a support and critique group for writers in suburban Philadelphia. She lives in Chester Springs, PA.
WOW: Susan, welcome! I loved your book and am so happy you decided to tour with us. A few years ago, you wrote an essay for Sonia Marsh's blog on reinventing yourself in mid-life. Can you share the story of how you did that with our readers? Susan: After attending a women’s writing retreat and hearing others read their stories, it so inspired me that I decided I wanted to start my own writing group. I wanted to write about it all – who John and I once were and how we needed each other. In the years following his death, I had worked at my career and raised two sons and put the whole business of grief and widowhood on the backburner. I had left the newspaper. Change presented an opportunity to rethink where I was going and write about John and what I learned from his illness. Writing can be extremely isolating; that isolation can overtake you and I sought to be with writers, meet new people, offer writing workshops, which I eventually did, and talk to community groups about memoir and the Women’s Writing Circle. A Portrait of Love and Honor completes the trilogy of my love story with John, beginning with Again in a Heartbeat, a memoir of love, loss and dating again and the sequel Morning at Wellington Square, about reinvention in middle age. Since publishing all three books in the last five years, the connections and conversations have been extraordinary. Some might call what I’ve done an “encore career”. I like to think of it as a ‘second chapter’. It’s also led to helping others find the courage and conviction to write their stories, which we did when we published Slants of Light: Stories and Poems From the Women’s Writing Circle. WOW: How does your background as a newspaper reporter affect your writing process, particularly when writing non-fiction? Do you think it makes writing and revising harder or easier? Susan: As a journalist with The Philadelphia Inquirer for close to two decades, I was trained to be a good listener and recorder of other peoples’ stories. I primarily covered stories in the Philadelphia suburbs; every day was different. As a journalist, I got to observe people, learned to capture details, meaningful quotes; to look “for the story.” I enjoyed the challenge of learning new things – and meeting people from the ordinary to the famous. Other than changing the names and identifying characteristics of certain people in my memoirs, it all happened and I wrote it accurately – and as absorbingly as I could. As a reporter, you learn to hone in on the interesting, “the color” and detail, which helps when writing nonfiction. I was also trained to avoid “sidetrips” . . . those vignettes that detract from the compelling narrative or heart of your story. As a reporter I had to stay objective and behind the scenes . . . stand back, which is helpful when writing and keeping the reader in mind. I also learned to double check facts, spelling of names and places. Newspaper work taught me the economy of words which is useful when writing a book and makes revision less time consuming. Today’s readers want to immediately engage in a story or they’ll put yours down and go to another. WOW: Your bio says you wrote your first memoir, Again in a Heartbeat, after attending a women's writing workshop. Why do you think writing workshops and critique groups are an important thing for writers to consider? Susan: You really can’t work in isolation all the time. There’s this sense of possibility that your story may actually and truly reach an audience when you start reading it to other writers and readers in a writing group. I was also intrigued with the idea that whether we are the creator, or the recipient, we find the support to take this leap of faith onto the blank page by reading aloud. We sustain and affirm each other. We begin to tell our stories in a strong and sure voice. All of this is ideally suited for a setting where a community of writers comes together in a supportive, as well as instructional manner. Some writers want criticism, some don’t. The goal of a group like the Women’s Writing Circle is to “test drive your voice” in front of an audience. Those considering publishing come to our critique group, too. We read the pieces in advance, bring notated copies of the work, and then offer criticism and commentary. We have guidelines we follow in critique. For example, we never refer to the person as “you” but as “the author” or “writer”. So I would suggest women and men find a writing group in their community. Writers are avid readers and therefore make very good beta readers; they are honest and astute. And they can save you a lot of time and money! WOW: How did the idea for Women's Writing Circle first develop? What types of relationships have you built with other writers through it? Susan: As I said, I got the idea after attending a summer writing retreat, which was sponsored by a group called Women Writing For (a) Change. At that point in my life, it felt important to give back to others. I still feel that way. Through the Women’s Writing Circle blog, I’ve met writers from all over the world, featured their work and supported them, as they have me. I’ve even met some in person; for example, Sonia Marsh, Kathy Pooler, and Linda Joy Myers. Some in the Circle agree that it is through our writing we have come to know each other better than many of our family and friends know us. We have thrown out a "creative lifeline" . . . one person bears witness to story, leading another and another to do the same. I’m always amazed and honored when I think how an idea to start a writing circle turned into a place where, over the last five and a half years, more than 300 women have read and critiqued their work. WOW: Why did you decide to write A Portrait of Love and Honor as a work of fiction rather than publishing your late husband's memories of the United States Military Academy at West Point verbatim? Susan: Of course, I believed his memoir was beautiful and meaningful, but I felt his story had a better chance to appeal to contemporary audiences if parts were excerpted and others not – and build a love story around Jay and Ava, the two main characters who meet in 1993 when Jay has been out of West Point for over two decades. John actually wrote two versions of his story – one as memoir and the other as a novel. I was his first editor for the book, which he worked on when he was home on disability after cancer surgery. Great stories sell books and I had in mind how to turn this into a really good story, a page turner. A love story is one way to do that. My sons were very helpful . . . they encouraged me to publish the memoir in the framework of a love story – the idea being that their father’s memoir was a “bit dry,” as my son put it; long passages about being on night patrol during combat training in New Mexico, as an example. They told me, too, that I, not West Point was his dream come true. I felt that using the flashback technique – the narration switches from the love story in the present and told in third person to the memoir in the past and told in first person – would appeal to readers without tampering with the honesty of John’s story. Perhaps, the biggest challenge . . . how to answer many unanswered questions in John’s memoir – questions which I never thought to ask him when I first read it. Why did he keep coming back to West Point year after year even after he saw how the system often tore down the individual spirit and soul? Was he trying to please his parents . . . his father, a World War II veteran? What role did his mother, an Italian immigrant, play? Did she desire her son commissioned in the U.S. Army to realize her own dreams and what was the connection with that and the immigrant experience? Since he wasn’t there, I had to imagine some of his story and what he might say; thus a novel. WOW: What are some of your writing rituals? Susan: I work for about two hours in the morning and then go to the gym or walk my dog, a yellow Lab named Lily. Sometimes, I’ll find myself shopping or taking a walk and I hurry home to write something that has occurred to me about one of the characters in my story; a thought, a turn of phrase to use in dialogue; an idea about motivation that hadn’t occurred to me before. I don’t worry about revising right away; rather I let it “percolate” overnight or for a few days, think about it and then come back to it. Writing is not like pushing toothpaste out of a tube; while it does require dedication, blood, sweat and tears, it also requires that jumpstart of inspiration and joy . . . not forcing it. I want to look forward to getting back to the work, rather than dreading it. I also try and keep my “inner critic” down to a dull roar. Eventually, there comes a point where you have to say, “This is it. I’m going to stop here.” Otherwise, you can be caught in a vicious cycle of editing and self-doubt. I never write after dinner. That’s a time to relax. WOW: What advice would you give aspiring memoir writers? Susan: Write what is relevant to you. Draw from your own life experience and make sense of something – and then tell it in a way that is larger than you and engages the reader. Honesty – filtered through memory and brought creatively to the written word - produces a credibility that resonates with the reader. Remember the reader and honor the trust they bestow when they pick up your book expecting to read a worthy story transcending the “fishbowl of one life” and offering a universal message. Tell the story as true as you can. Keep it real. No artifice. Readers know when a writer is trying to pull one over on them. Honor the authenticity of your voice; write in a confident voice; believe in your story; never write out of revenge, bitterness or anger . . . ask yourself, is this something I want my children to read years from now? If the answer is ‘no’, leave it out. WOW: Which do you prefer writing--fiction or non-fiction? Why? Susan: I love memoir because it represents writing as a journey into the soul—a path to self-discovery, as well as a way to develop understanding and empathy for others. While I love memoir and feel most fiction is based in it, fiction helps me move forward as a writer. I enjoy the creative aspect and ‘taking off’ with a semiautobiographical story, for example, where I don’t have to worry about libel or offending someone. I like writing about real people, real events. A Portrait of Love and Honor – the love story part – is about two people who find themselves irresistibly drawn to each other against all odds of meeting, let alone finding a connection . . . taking on these venerable and iconic systems by documenting their struggles and disillusionment through the written word. Ava and Jay are activists which is a wonderful common ground for connection. In that regard, I felt I could really let the love story take flight in an imaginative way, offering up not just Ava’s point of view, but Jay’s often on the same page or in the same chapter, just as Robert James Waller did in The Bridges of Madison County. In memoir, there is only one POV and that can be limiting. Susan: Someone asked me whether I planned to continue the story of Jay and Ava. I’m really not sure. I’m not sure what the next writing project will be. It’s summer. I’m just taking it easy for now. Stop by for an interview with Susan G. Weidener and a chance to win A Portrait of Love and Honor: A Memoir Based on a True Story. Curious about how to write discussion questions for your book? Susan G. Weidener shares her tips at the Giving Voice to Your Story blog. Susan G. Weidener returns to Giving Voice to Your Story with advice on how to embrace the publication of your book. Author Bob Mayer hosts Susan as she writes an informative post on "Moving Out of the Comfort Zone: The Writer as Activist." Struggling with writing to find an authentic voice? Susan G. Weidener shares her experience, and why she believes it's important to every writer. You don't want to miss this guest post on "The Memoir Writer's Hidden Nerve." Author Barbara Barth began her writing journey after losing her husband, and Susan G. Weidener shares how she found her own voice and her story with this guest post. 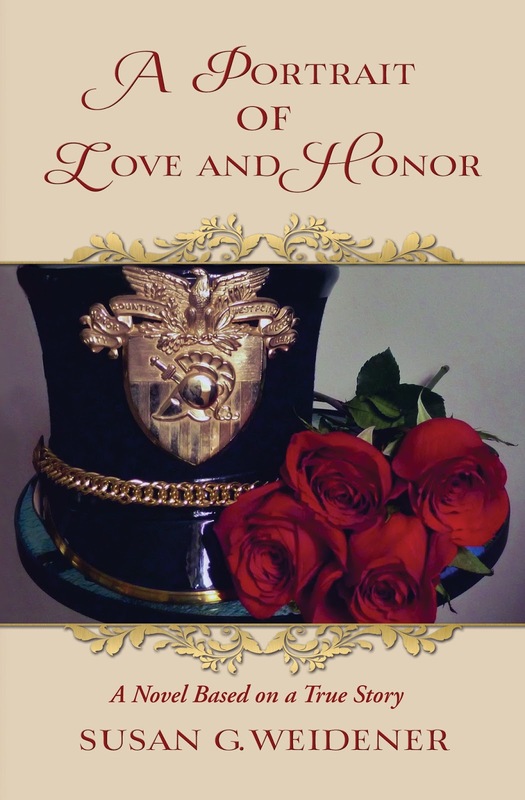 Jodi reviews A Portrait of Love and Honor: A Novel Based on a True Story. 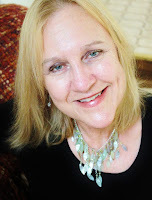 Susan G. Weidener shares why, for the local author, community is everything. Jodi interviews Susan Weidener about A Portrait of Love and Honor: A Novel Based on a True Story. Have you ever heard the biblical story of how Lot's wife turned into a pillar of salt? Susan G. Weidener visits Madeline Sharples' blog with a compelling guest post on how writing about the past can help us heal. Plus, a bonus, as Madeline reviews A Portrait of Love and Honor: A Novel Based on a True Story. Lisa Haselton interviews Susan about her latest book, A Portrait of Love and Honor: A Novel Based on a True Story. Enter to win a copy of A Portrait of Love and Honor: A Novel Based on a True Story by Susan G. Weidener! Just fill out the Rafflecopter form below. We will announce the winner in the Rafflecopter widget on Friday, July 24. Thank you for this excellent interview and congratulations on the launch of your blog tour! Your story-behind-the story is as fascinating as the story itself. A PORTRAIT OF LOVE AND HONOR is a wonderful story and I hope it will get the attention it deserves via your tour. Enjoy! Thank you, Angela. I truly enjoyed writing the love story as a way to both showcase the memoir and create an engaging and romantic story . . . and in many ways, it was like having John in the room with me again. Dear Kathy, As one of my beta readers and early supporters of this project, thank you . . . thank you . . . thank you. I like to think of my work as slowly catching fire . . . one reader, one day at a time . . . and a dream come true to have John's story out there - finally . . . 21 years after his death. This is the third in what I consider a series of memoirs written by Ms. Weidener, although she describes A Portrait of Love and Honor as “A Novel Based on a True Story.” I have read the author's other 2 books. Her first two books she describes as memoirs.